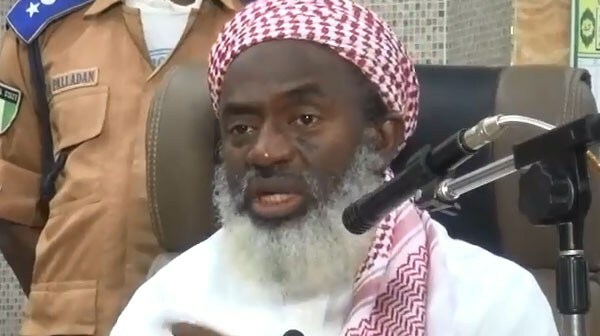 Speaking while reacting to rumours in Kaduna state that he was critical of the government of the APC because of his sympathy for the opposition PDP, a Kaduna-based Islamic scholar, Ahmad Gumi, has said he has no sympathy for any political party in Nigeria. Gum‎i recently came under criticism by loyalists of President Buhari and APC in the state for speaking against the anti-corruption fight in the country. He had accused Buhari as prone to mistakes and falling to render good governance, asking the president to resign. According to PREMIUM Times, the influential cleric said he stands by his call on President Muhammadu Buhari to resign due to alleged failure of his government. He stated further at the closing of Ramadan Lecture for 2018 at Shaikh Sanusi Khalil Mosque at Rigachikun, Kaduna on Thursday that his criticisms are based on his quest for justice in Nigeria. 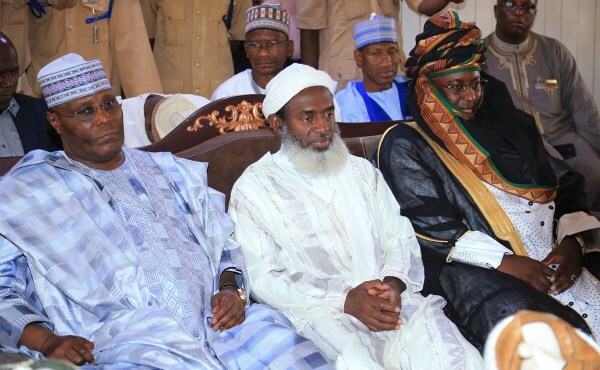 Reacting on the picture of him sitting between former Vice President Atiku Abubakar and former Kaduna State governor, Ramalan Yero, the cleric said the shot was taken at a public event long ago. “There was a picture that was snapped at a mosque in Rigachikun. When I was invited to attend a wedding fatiha, on arrival I met him (Mr Yero) and former Vice President, Atiku Abubakar, at the mosque. “Then he (Atiku) was still in APC as a member and contested against President Buhari at the primaries, while Yero was then in PDP as a governor in the state. He said Nigerians should not discriminate among themselves on the basis of politics. “Anything that we know will bring misunderstanding among us as Muslims we must try to do away with it,” he said. He recalled also criticising the government of former President Goodluck Jonathan and asking the president to resign or be impeached. “Nigeria’s newspaper carried a headline in 2012, when I said Jonathan has failed Nigerians and should resign. So I also find it a duty upon me to tell this government the truth, that it is full of mistakes, or else I become a hypocrite. “Why I blamed Jonathan was because of blood in his hands because Boko Haram were putting bombs everywhere and the government was not doing enough. “The bloodshed now is more than during Jonathan’s regime. So now you judge yourselves to be fair. Our religion is a religion of fairness. “Now more blood is shed from negligence, from sleeping, from laziness, from I-dont-care,” he said.